Get WinX Bluray DVD iPad Ripper Free. 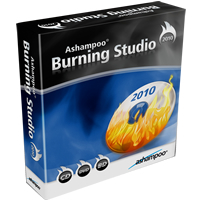 Ashampoo Burning Studio 2010 is a simple, yet powerful suite that aims to get back to the disc burning basics. No bloat, no unnecessary features, no confusing options to get in your way, just the core functionality you need delivered through an easy-to-use wizard-based interface. In just one click you can be creating a simple data disc, for instance (CD, DVD or Blu-ray). Drag and drop the files or folders you need onto the work area, and the disc can be burned in another two clicks. Go to this page download the installer and install it. Leave “Get full version key” checked during installation to start the process of receiving your free registration key. For many years it has been possible to make your own DVDs with free software tools. Over the course of the past decade, DVD creation evolved from the exclusive domain of the media publishing companies to something basically anyone could do on their home computer. But Blu-ray has yet to get that treatment. Despite the “format war” between Blu-ray and HD DVD ending over two years ago, free software has lagged behind. “Professional” tools for Blu-ray video encoding can cost as much as $100,000 and are often utter garbage. Here are two actual screenshots from real Blu-rays: I wish I was making this up. But today, things change. Today we take the first step towards a free software Blu-ray creation toolkit. Thanks to tireless work by Kieran Kunyha, Alex Giladi, Lamont Alston, and the Doom9 crowd, x264 can now produce Blu-ray-compliant video. Extra special thanks to The Criterion Collection for sponsoring the final compliance test to confirm x264’s Blu-ray compliance. With x264’s powerful compression, as demonstrated by the incredibly popular BD-Rebuilder Blu-ray backup software, it’s quite possible to author Blu-ray disks on DVD9s (dual-layer DVDs) or even DVD5s (single-layer DVDs) with a reasonable level of quality. With a free software encoder and less need for an expensive Blu-ray burner, we are one step closer to putting HD optical media creation in the hands of the everyday user. To celebrate this achievement, we are making available for download a demo Blu-ray encoded with x264, containing entirely free content! On this Blu-ray are the Open Movie Project films Big Buck Bunny and Elephant’s Dream, available under a Creative Commons license. Additionally, Microsoft has graciously provided about 6 minutes of lossless HD video and audio (from part of a documentary project) under a very liberal license. This footage rounds out the Blu-ray by adding some difficult live-action content in addition to the relatively compressible CGI footage from the Open Movie Project. Finally, we used this sound sample, available under a Creative Commons license. You may notice that the Blu-ray image is only just over 2GB. This is intentional; we have encoded all the content on the disk at appropriate bitrates to be playable from an ordinary 4.7GB DVD. This should make it far easier to burn a copy of the Blu-ray, since Blu-ray burners and writable media are still relatively rare. Most Blu-ray players will treat a DVD containing Blu-ray data as a normal Blu-ray disc. A few, such as the Playstation 3, will not, but you can still play it as a data disc. Finally, note that (in accordance with the Blu-ray spec) the disc image file uses the UDF 2.5 filesystem, which may be incompatible with some older virtual drive and DVD burning applications. You’ll also need to play it on an actual Blu-ray player if you want to get the menus and such working correctly. If you’re looking to play it on a PC, a free trial of Arcsoft TMT is available here. What are you waiting for? Grab a copy today! What’s left before we have a fully free software Blu-ray creation toolkit? Audio is already dealt with; AC3 audio (aka Dolby Digital), the format used in DVD, is still supported by Blu-ray, and there are many free software AC3 encoders. The primary missing application is a free software Blu-ray authoring tool, to combine the video and audio streams to create a Blu-ray file structure with the menus, chapters, and so forth that we have all come to expect. But the hardest part is dealt with: we can now create compatible video and audio streams. In the meantime, x264 can be used to create streams to be authored using Blu-Print, Scenarist, Encore or other commercial authoring tools. More detailed documentation on the new Blu-ray support and how to use it can be found in the official commit message. Do keep in mind that you have to export to raw H.264 (not MKV or MP4) or else the buffering information will be slightly incorrect. x264 now has native variable-framerate ratecontrol, which makes sure your encodes get a correct target bitrate and proper limiting of maximum bitrate even if the duration of every frame is different and the “framerate” is completely unknown. This helps a lot when encoding from variable-framerate container formats such as FLV and WMV, along with variable-framerate content such as anime. x264 now supports pulldown (telecine) in much the same fashion as it is handled in MPEG-2. The calling application can pass in flags representing how to display a frame, allowing easy transcoding from MPEG-2 sources with pulldown, such as broadcast television. The x264 commandline app contains some examples of these (such as the common 3:2 pulldown pattern). x264 now also exports HRD timing information, which is critical for compliant transport stream muxing. There is currently an active project to write a fully DVB-compatible free software TS muxer that will be able to interface with x264 for a seamless free software broadcast system. It will likely also be possible to repurpose this muxer as part of a free software Blu-ray authoring package. All of this is now available in the latest x264. WinX DVD Ripper for Mac is an all-in-one DVD ripper designed to make perfect 1:1 DVD copy to hard drive and rip your DVD movies on Mac OS to iTunes, MOV, MP4, FLV, etc that playable on iPad, iPod, iPhone, Apple-TV, PSP and much more. It also supports extracting music from the DVD files and saving as MP3 format. With this Mac DVD ripper. Most important, it enables users to rip DVDs of new generation copy protections with the fastest speed. This free offer will expire on May 1st, 2010 (12:00AM GMT). 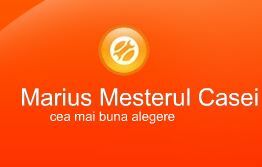 Un program foarte simplu de folosit, are aproape toate functiile pe care le doriti si poate chiar mai mult si este gratuit. ImgBurn sprijină o gamă largă de formate de fişiere imagine – inclusiv BIN, CUE, DI, DVD, GI, IMG, ISO, MDS, NRG şi PDI. Se pot arde CD-uri audio de la orice tip de fişiere acceptate, prin intermediul DirectShow / ACM – inclusiv AAC, APE, FLAC, M4A, MP3, MP4, MPC, OGG, PCM, WAV, WMA si WV. Îl puteţi utiliza pentru a construi discuri DVD-Video (dintr-un folder VIDEO_TS), HD DVD discuri video (dintr-un dosar HVDVD_TS) şi Blu-ray toate acestea cu mare usurinta . ImgBurn suporta toate sistemele de operare de la Microsoft incepand de la Windows 95, 98, Me, NT4, 2000, XP, 2003 pana la Vista, 2008 şi Windows 7 (inclusiv toate versiunile pe 64 de biţi).